The village of Port Graham has seen a burst of activity in the area of reading this year. 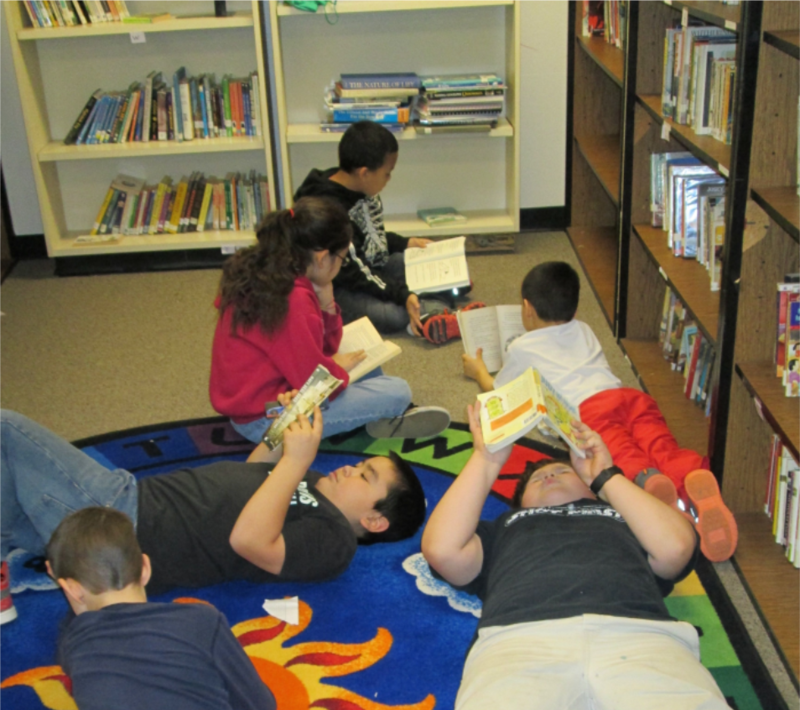 Students’ interest in curling up with a good book has been sparked by two programs, Accelerated Reader and the Battle of the Books. Elementary teacher, Stephanie DeVault had used the Accelerated Reader (AR) program in a previous district and saw how it motivated students to become avid readers. AR is web-based software that allows teachers to monitor students’ independent reading. It does this by providing comprehension tests on an enormous range of books. In short, students read a book at their reading level and then take a short, multiple choice test. Upon successful completion of the test, students are awarded points based on the length of the book. This allows teachers to set goals for students, monitor student understanding of reading, and provides a motivator for students to finish books on their own. The program, naturally, is not free. Because DeVault had seen it provide the impetus needed for students to dramatically increase their reading, she was determined to implement it in Port Graham. She wrote a grant using a website called Donors Choose. 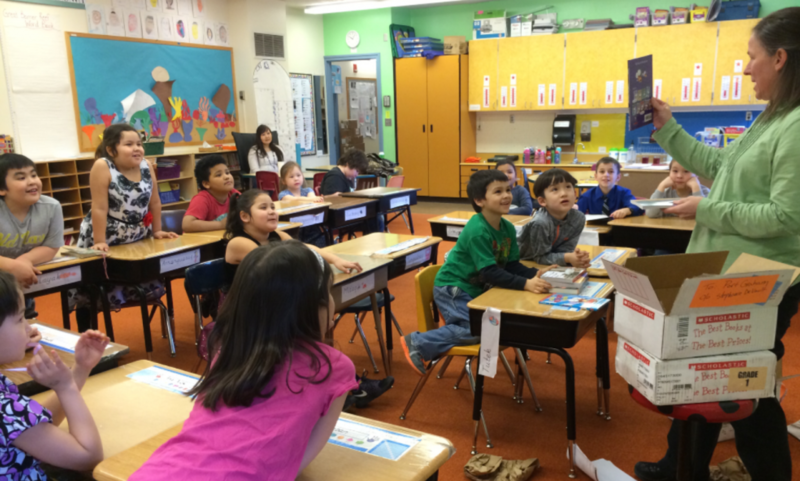 Donors Choose was designed to help teachers access funds from donors for classroom supplies. People wishing to contribute to education can browse the website and choose projects they find meaningful, but all materials are purchased by the organization. Teachers are never tasked with handling the funds. This allows donors to give tax-deductible donations, but protects teachers from showing extra income. The grant posted in mid-September and donations started arriving from friends and family of locals in the village and even from parents of Stephanie’s former students who had watched AR transform their children into voracious readers. At best, Stephanie guessed that it would take two to three months for the grant to be fully funded. In early October, the grant was complete! A generous donation from Chevron, as part of their Fuel Your School program, had paid the balance. This entry was posted on May 28, 2015 at 11:11 am. You can follow any responses to this entry through the RSS 2.0 feed. You can skip to the end and leave a response. Pinging is currently not allowed. 1 Response to "Reading Comes Alive in Port Graham"